Thanks for sharing this! Trapper Ron is an awesome name for an animal control specialist. 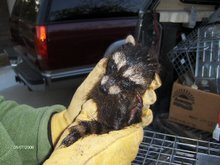 animal removal in Orlando is just as important there as anywhere else.